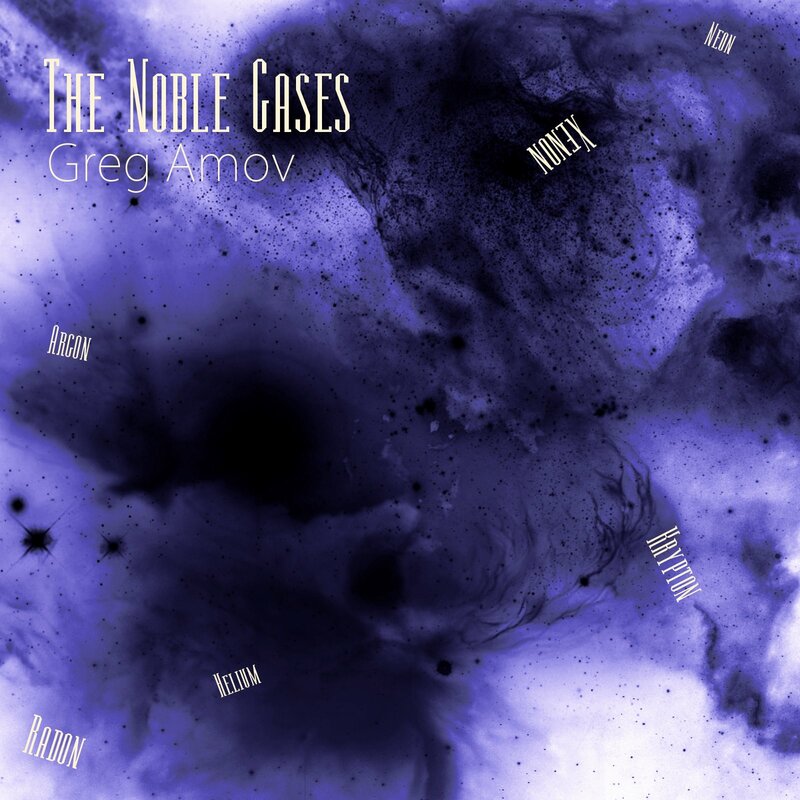 For a limited time, my late friend and colleague's final album The Noble Gases is available for free from this web site. Feel free to download and enjoy. Read Jonathan Bellman's blog entry about Greg here. "The Noble Gases" was prototyped between 2000 and 2005. Then created properly in 2005 and 2006. It was overhauled and completed in 2008. (c) 2009, Copyright by Greg Amov & Systems Theory Music Publishing. Composed, performed and programmed by Greg Amov using a Roland XP-30, Acidized loops, and instrument multi-samples played through Sampletank and Gigasampler into Sony Acid Pro v5, 6 & 7. Engineered by Greg Amov and Steven Davies-Morris. Produced and mastered by Steven Davies-Morris. "The Noble Gases" is the work that Greg was most proud of. It began life as several compositions intended for Systems Theory as far back as 2000, and several intended for other projects between 2001 and 2005. But along the way none of the six pieces was used. Either the nature of the outside project changed, the tunes proved surplus to requirements, or were pulled back from Systems Theory for a variety of reasons. After Gecko Highway was released in 2005 Greg outlined to Steven Davies-Morris his intent to retool these six compositions, adding linkage elements and recurring themes/motifs to create 45 minutes of seamless connected music. And then provide a closing piece to encapsulate many of those ideas into a finale. It was a while before the theme manifested itself: the six noble gases. But once Greg had the idea in his head it all came together quickly. However, esophageal cancer struck in 2006, and plans for the album were shelved. Along with Greg's active participation in the concurrent Systems Theory project Codetalkers. By spring 2008 the finished album had sat in limbo for over 18 months, the subject of many queries and frequent in-band jokes (i.e. "Taken any rides lately on Fresno Area Rapid Transit? ", "Is it methane yet?"). Things got back on track when Greg, having listened several times to the endlessly-delayed, finally-released "Codetalkers" asked SDM to remix and produce "The Noble Gases" from the ground up. This was done over the summer of 2008, with additional sequencing and incidental percussion added as part of the production process to strengthen the relationships between the compositions. The finished CD-ready album was returned to Greg in August. 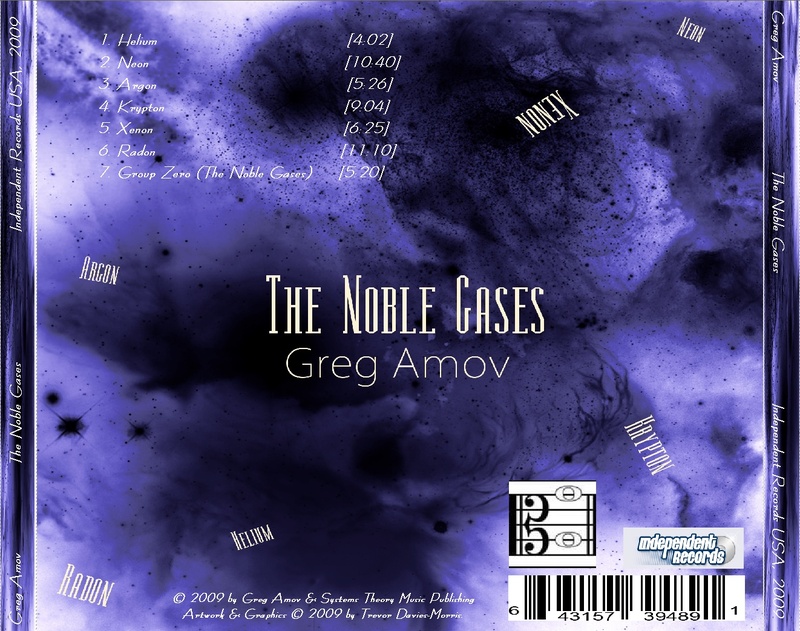 He went ahead and commissioned artwork for "The Noble Gases", registering it with Independent Records USA. But the album was inexplicably not released. Greg later expressed ambivalence with the artwork, and concern over his inability to focus on getting his musical-composition car out of first gear. Of course we understand now exactly why that was. Depression undermining his creative inspiration, and later cancer of the brain insidiously effecting his ability to turn that creativity on at will. But at the time it just seemed more of the decades-old problem of a chronically self-doubting Greg being the worst enemy of his own art. During the summer of 2009 Greg showed increased signs of fatigue and depression, suffered massive migraine headaches, and was unable to jump-start work on new Systems Theory material. An agreement was reached between Greg and SDM regarding the release of "The Noble Gases" and the re-release of the out of print The Dark Within The Dark and "Gecko Highway". Once the delayed Systems Theory album "overfulnoisecascade" was released, SDM would take charge of all of Greg's catalog, including the unreleased material, and get it into circulation, first as downloads, and then as print-on-demand CD-Rs through CD Baby and its relationship with Diskmakers. Following a very serious fall, in August of 2009 xrays of Greg's injured hip, and subsequent catscans/MRIs, revealed systemic cancer -- the esophageal cancer returned with a vengeance, migrated elsewhere, including his broken hip, lungs and brain. Though it was a month before what everyone close to Greg believed was proven true, and discussion of terminal cancer became a daily topic of conversation. 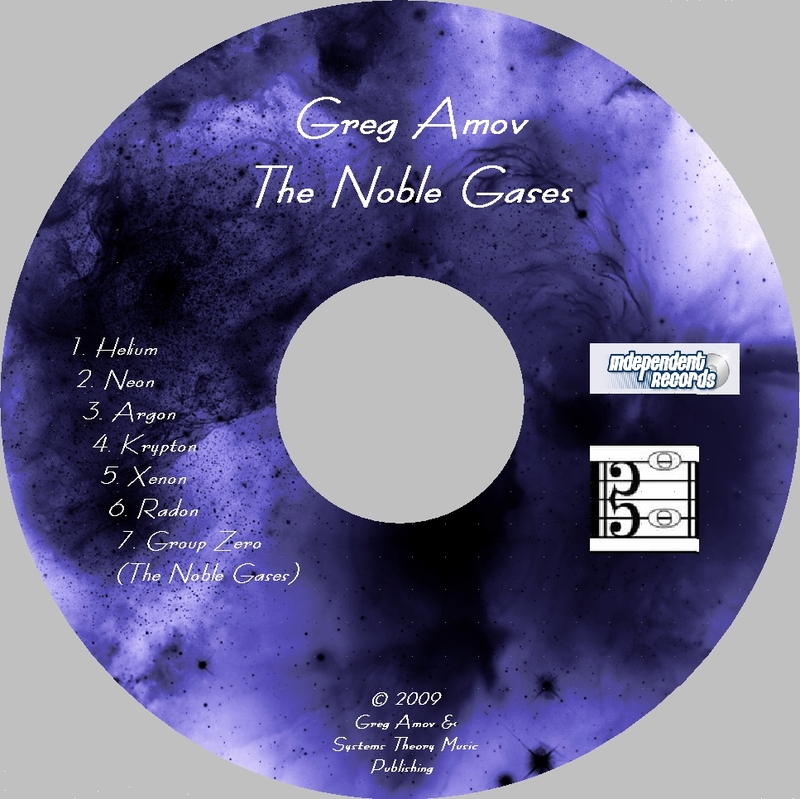 Greg's 50th birthday, Nov 6th 2009, was chosen for the official release date of "The Noble Gases" with new artwork by Trevor Davies-Morris. Sadly, Greg did not live to see this album come out. The finished product reflects what Greg wanted the album to be. 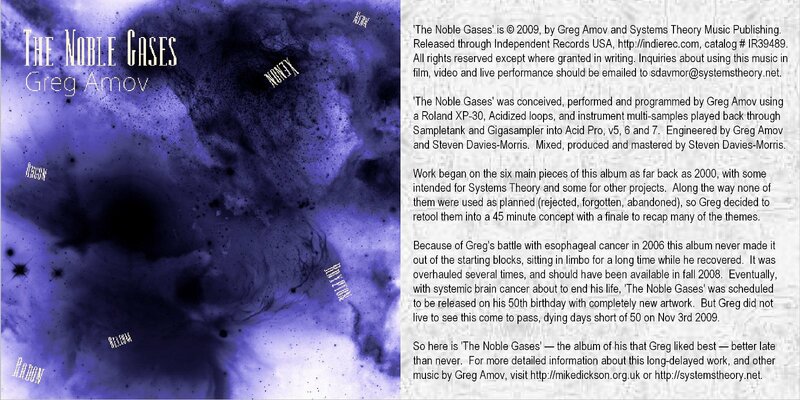 Hopefully those listening to it will immediately grasp the scope of "The Noble Gases", and the consummate ease with which Greg pulled off the task of an album-length concept broken into discrete yet linked parts. (1) The noble gases are not really group zero. They are found in group 18 of the periodic table. But they do all have an oxidation number of zero, which prevents the noble gases from forming compounds readily, which is how Greg arrived at the name of the last track on the album. Therefore this title was kept even though it's scientifically wrong, instead of renaming it to "Group Eighteen" (or "Fresno Area Rapid Transit" as it was at one stage). Scientific nitpickers may complain to themselves about this inaccuracy. (2) There is a possible seventh noble gas element. Ununoctium exhibits noble-gas-like properties, but it's all a bit iffy over a decade after its discovery. It has some odd relativistic properties that the other six noble gases don't exhibit, and it may not even be a gas at all! So a proposed seventh track between "Radon" and "Group Zero" was put on hold. It was briefly considered for addition as a bonus but it was decided that it would spoil the continuity of the album. Besides, it was a demo, not finished to the same standard as the others. Ergo it was deep-sixed. When burning these seven tracks to CD-R or arranging them into a playlist, make sure the software understands that there is to be no gap of any sort between the tracks. Because of the way the linkages are constructed, each track can be played separately (great for radio), but for optimal listening, play the album as Greg wanted it heard: one long audio blob. Artwork for the album is available here, here and here. A Winamp playlist for the album is available here.